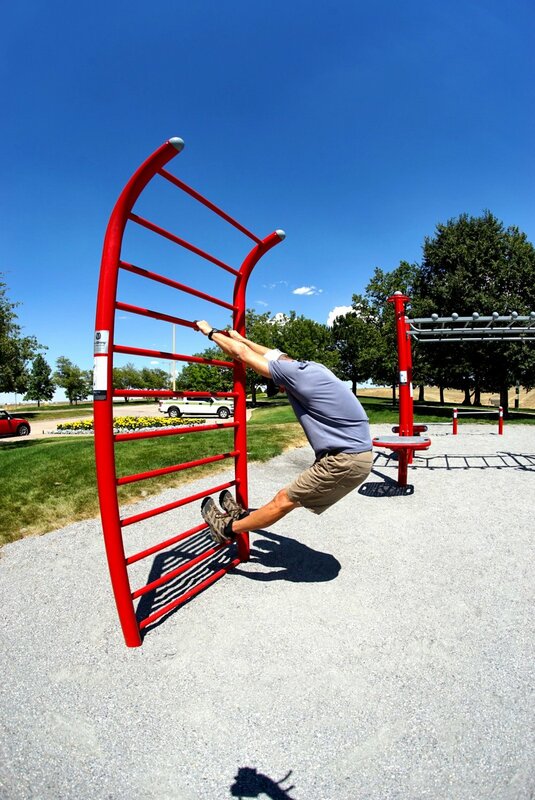 The new MoveStrong FitGround equipment installed at Meridian Metropolitan District in Denver, CO! 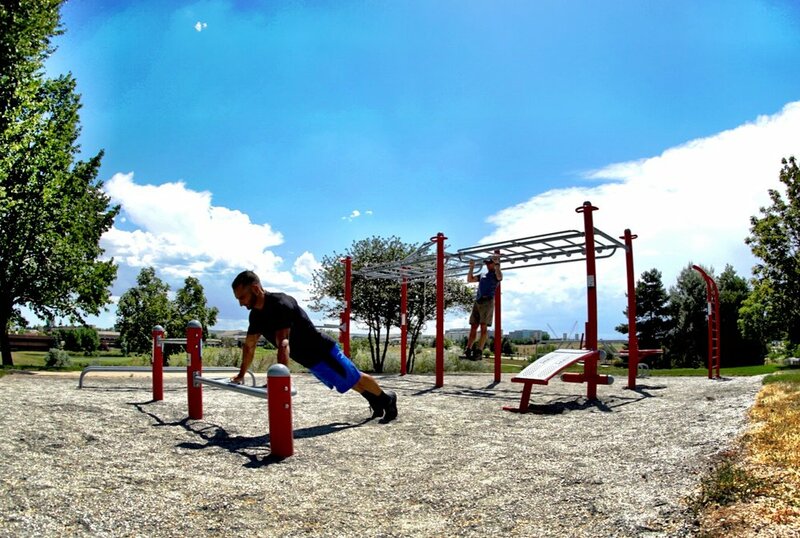 An amazing outdoor park area for the community to exercise and take in the amazing Colorado weather. 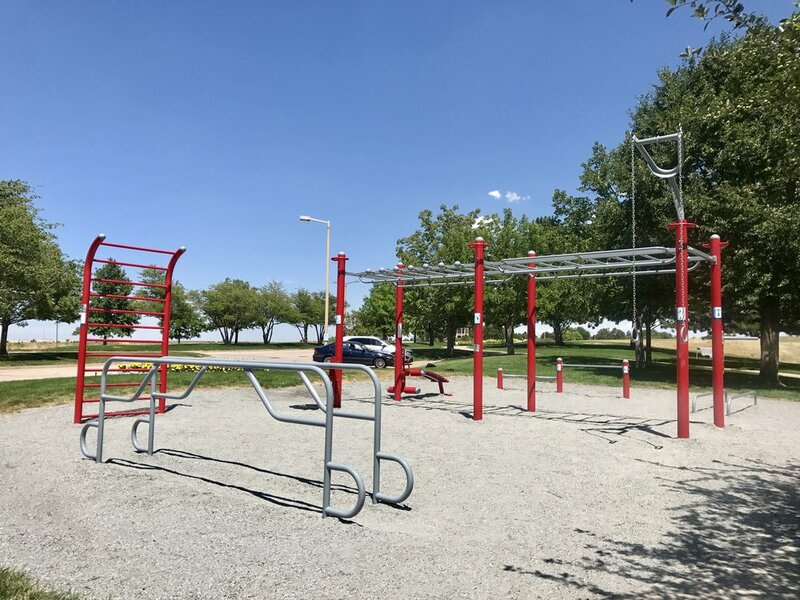 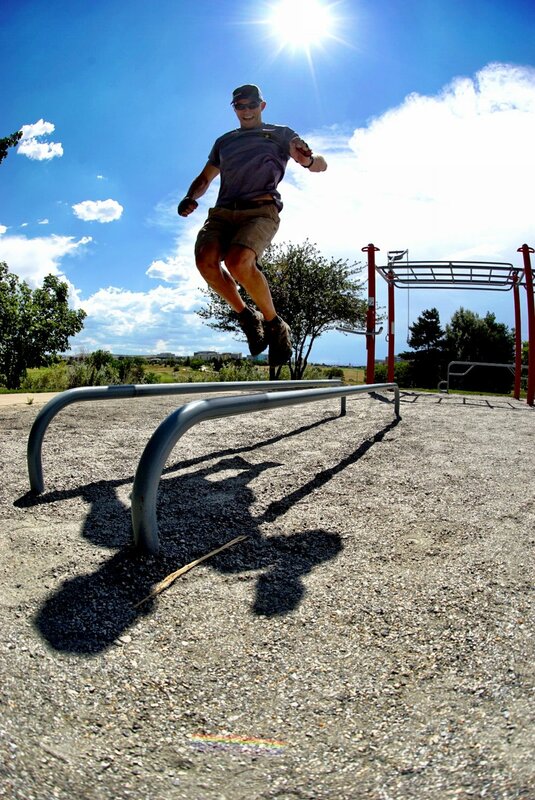 The park consisting of 2.5 mile walking trail, 18-hole golf course several shaded spots to relax under the trees and now with a MoveStrong FitGround to get your exercise in with bodyweight, calisthenics, and functional fitness training. 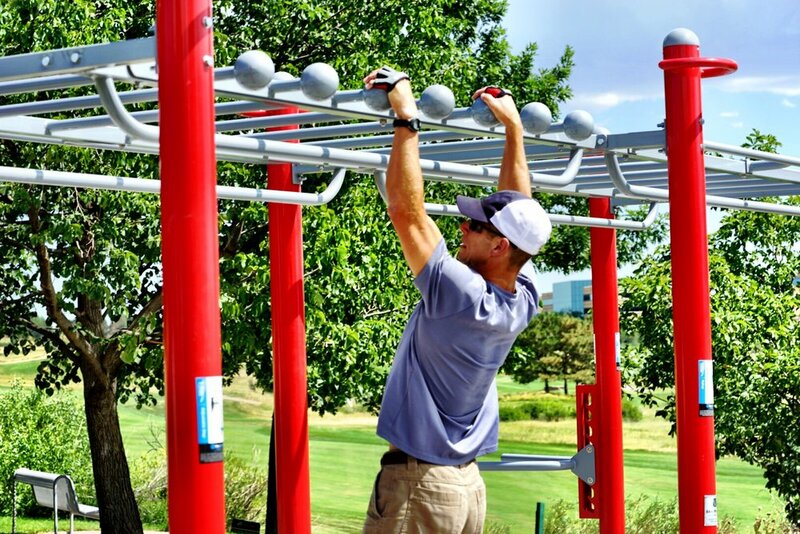 The FitGround consist of the custom color T-Rex FTS with double Monkey Bar bridge, Low Parallel Bars, Stall Bars, Elite Parallel Bars, Push-up and Inverted Row Bars. 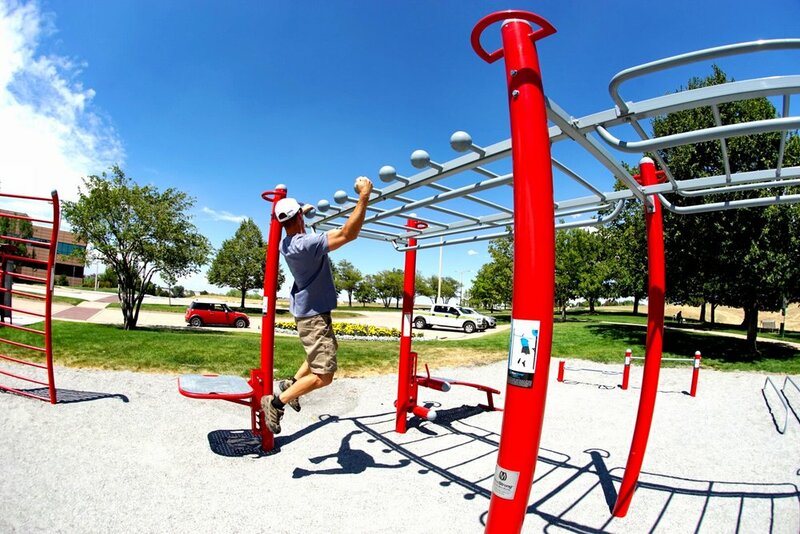 If in the area stop by and see this amazing outdoor fitness amenity open to the public!